Add your own constructions to be in the generations of the Minecraft worlds. 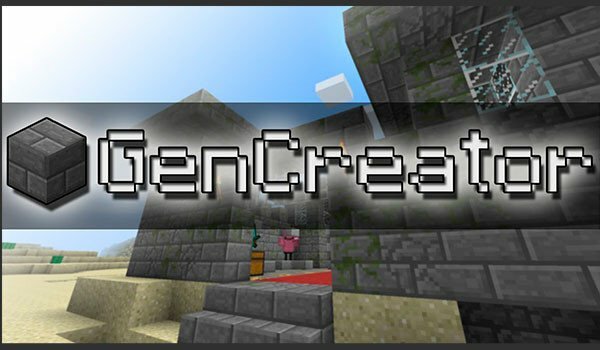 GenCreator 1.7.10 is a mod that lets you create structures, buildings, homes or whatever you want, and add it to generate the worlds of Minecraft. All without having to leave the game, or having to use external programs. Moreover, if you put chests or content inside the constructions it will be kept in the moment of generation. So you will find them the same as you designed them. When you have completed the structure you want, go to the down corner of the construction and key F10 to mark one end, then repeat with the opposite corner, but at the upper side of the structure. So now you have the structure “copied”. How to install GenCreator Mod for Minecraft 1.7.10? Create and add your own constructions in the Minecraft world generation within the game!